Astronomers have been eyeing the Eta Carinae, a huge star weighing 120 times that of the Sun and is dubbed as the “Death Star,” for many years. Social media sectors are alarmed with the fact that the flare that would be generated by the collapse of Eta Carinae could end life on Earth. It is said that the flare would be 100 times bigger than the Earth and could produce a radiation enough to kill all the people in the world. Eta Carinae is a stellar system 7,500 light years from Earth, and it is on the brink of a supernova detonation. 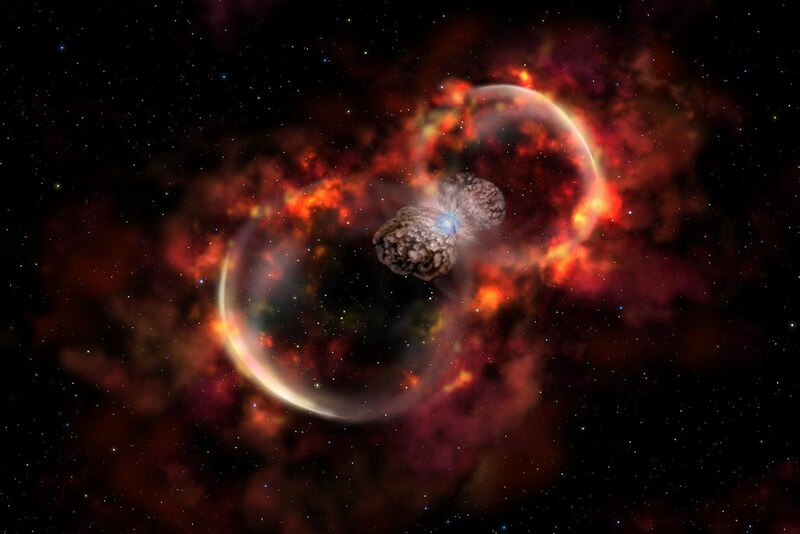 In an article looking at whether the apocalypse from the death star is nigh, Scientific American notes: “Simply put, Eta Carinae is a supermassive stellar powder keg nearing the end of its fuse. It could, in fact, already have met its doom, and the light bearing news of its cataclysmic death could be streaming toward us even now. The threat of a gamma-ray burst (GRB) blasting the biosphere was the main fear that was associated with the mass-extinction on Earth, but this would be the worst-case scenario. If the GRB took place then the planet would be filled with light that would be brighter than the sun and would tear the ozone layer apart. It would also send the radioactive particles raining down on the Earth. However, this scenario is highly unlikely, experts say. Most astrophysicists say Eta Carinae will not produce a gamma-ray burst at all and that even if it did, it would not hit Earth. Astronomers reported extremely volatile behaviour from Eta Carinae in the 19th century, when it became very bright for two decades, outshining nearly every star in the entire sky. This event became known as the ‘Great Eruption.’ Data from modern telescopes reveal that Eta Carinae threw off about ten times the sun’s mass during that time.